Corfe Bears > Charlie Bears > STITCH 12.5"
Stitch lives up to his name, as he has a little repair stitches on parts of his body - so just needs lots of TLC to make him feel better. He also has small pre-loved worn patches, which all add to his character. 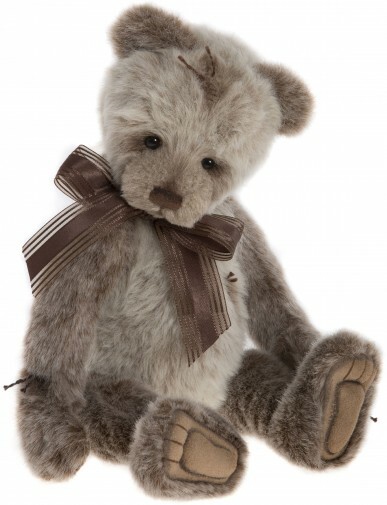 He is made from a soft plush fur in shades of cream and brown, with sculpted and stitched paws and a cute hand stitched nose. He wears an organza ribbon and is soft filled and loosely jointed and he can't wait to give you plenty of cuddles. Stitch is from the Charlie Bears 2017 Collection.